A Polypropylene Sleeve Bag with a fold over flap of approx. 1" designed to fit our range of 152 x 216 mm Envelopes plus a single Card Blank. These clear film bags give that finishing touch and avoid greeting card and envelope being damaged or soiled. Very qood quality. 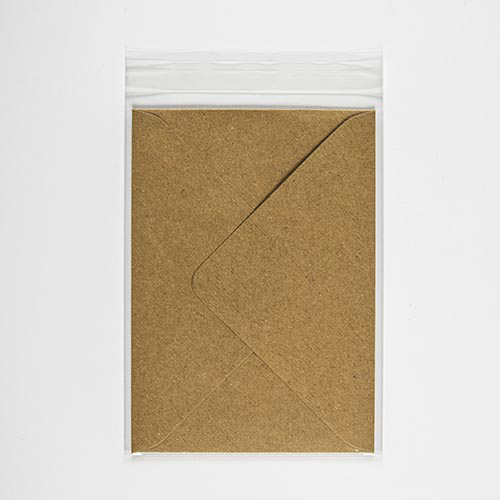 These poly bags are perfect for fitting an A5 card and envelope snuggly. They give a very professional finish.